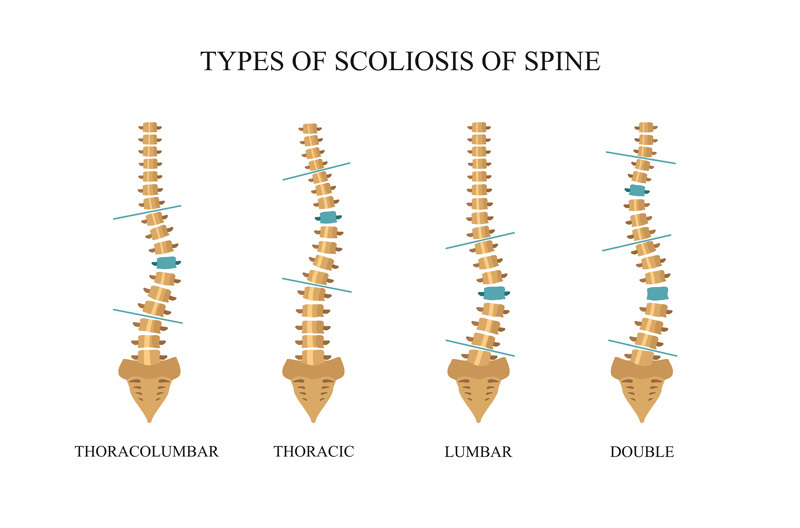 Sometimes this involves only one section of the spine but most commonly the curvature extends from one region into the next.The curvature is a result of a subluxed joint and annulus on the concave side. The curvature plays a significant role in changing the way the spine does its job. When we see someone bend forward, we see their body move straight down. We see this same motion if the person has a straight spine or a scoliotic one. You can imagine that when a person with scoliosis bends, the spine is not moving in the same manner as if the spine was straight. The curved spine must pivot on the subluxed levels and the structures on the opposite side must move more than normal to allow the desired spinal movement. Medical treatment offered for scoliosis is unique at this office. Motion patterns are normalized through proprietary injection methods and exercises with the improvement of the spinal curvature. We almost never recommend surgery for scoliosis and believe mobilization is the proper treatment paradigm.